William Kituuka Kiwanuka: WHERE DOES AN MP GET 30 BAGS OF RICE TO DONATE TO MUSLIMS? WHERE DOES AN MP GET 30 BAGS OF RICE TO DONATE TO MUSLIMS? Jinja West MP Moses Balyeku. ------------------------------------------------------------------------------------- Something is extremely wrong with Uganda politics. A Member of Parliament (MP) gets paid to see him able to reach his constituents and maintain himself/herself in such a status that an MP should be in socially. While simple donations like at Funerals and some fundraising are okay, it defeats my understanding to see an MP raise 30 bags of 100kgs and donates them to the Muslim Community. What does this show? Is it to look down upon others and you come out as provider? Surely time is now to out law this type of business. It is common knowledge that many if not most MPs are badly in debt with financial institutions simply because they get involved into what is not their work. It is illegal to provide food to able bodied people who do work for their welfare and you end up as their provider. MPs ought to know what their roles are. It is not feeding the people who are capable of feeding themselves meanwhile they get into uncalled for debt. Prior to Idd-el-Fitr day, Jinja West (MP) Moses Balyeku handed over 30 bags of rice to Muslims Community in Jinja! On retail, each kilogram of rice is about shs 2,200 or more, so, the 30 bags each 100kgs may have cost the MP about Ushs 6,600,000! Surely, an MP who went to Parliament to undertake legislative function, where does he get this type of money given the commitments that are in line with his status? This practice must be stopped. It is not generosity, as there is all the evidence that MPs who fail to get back to the House always complain that the electorate does not appreciate; this type of donations are more often than not from the Bank loans which end up overburdening the legislators to the extent of publicity that some have nothing to take home at the end of the month. Secondly, it should be seen clearly as bribing the electorate so that at some future time, these pay back in form of votes and the MP is sent back to the House. The way forward is to have a law in place which makes this type of donations by MPs illegal whether it is towards elections or not. William Kituuka Kiwanuka ---------------------------------------------------------------------------------- 40 MPs GET ZERO SALARY OVER DEBTS By MONITOR REPORTERS Posted Monday, February 13 2012 In Summary Campaign debts and flashy lifestyles combine to keep MPs at the mercy of loan sharks About 40 MPs are so indebted that they have no money in their accounts at the end of the month despite earning an estimated of at least Shs15 million, Parliamentary sources have revealed. About 50 other MPs are left with less than a million shillings after paying off their debts, according to sources in the Parliamentary Commission, undermining their ability to turn down financial favours from the Executive and other power brokers. 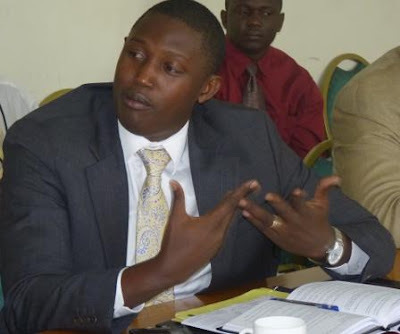 Workshops now a lifeline Sources within the Parliamentary Commission, a body in charge of members’ welfare, told Daily Monitor that most of the first-term MPs are struggling to pay off loans taken to fund their election campaigns while others borrowed to fund lavish lifestyles. Many of the affected MPs are forced to spend their time attending workshops and field trips to collect per diems, the sources said. The matter was brought to the fore during the recent opposition MPs’ retreat in Jinja where one of the Parliamentary Commissioners, Mr Elijah Okupa (Kasilo, FDC) reportedly told his colleagues that about 70 MPs were getting zero pay at the of the month. Mr Okupa, who is privy to MPs’ finances by virtue of his seat on the commission, said most of the members lacked financial discipline as they end up spending their money on big cars, palatial houses and luxuries, as well as supporting poor constituents.